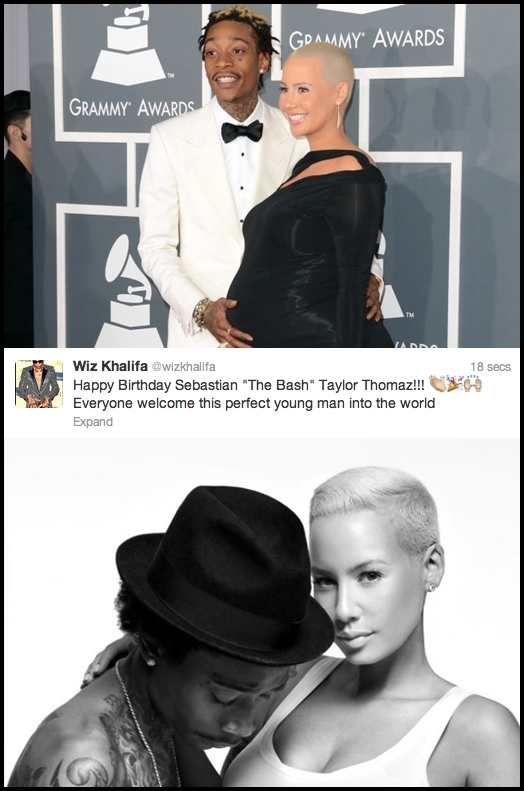 Yimiton's Blog: Amber Rose and Wiz Khalifa Welcome (Perfect) Baby Boy! Amber Rose and Wiz Khalifa Welcome (Perfect) Baby Boy! The very beautiful model Amber Rose and her fiancé, Wiz Khalifa have welcomed their first child together today, 21th of February 2013 ... And it's a baby boy. The 25-year-old rapper tweeted the good news a few minutes back, and also revealed his name, Sebastian aka 'The Bash'.